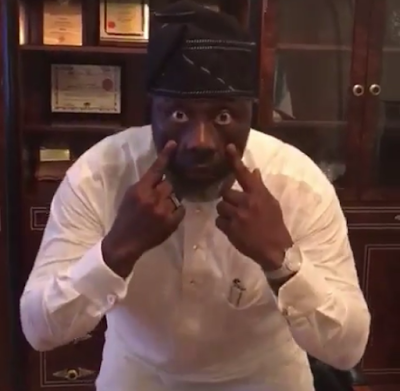 The Senator Dino Melaye Ahmadu Bello University scandal,where Sahara reporter founder Omoyele Sowore claims that he had reliable sources and evidence that he did not complete his geography degree,thereby not graduating seems to have a new turn everyday. It has not been a last few good days for the enigmatic Nigerian senator.Remember Senator Ali Ndume,one of his colleagues had also strongly called for him and Bukola Saraki the senate president to be investigated. Sowore had shared with the press. But there was a light at the end of the tunnel for Melaye as the Vice Chancellor (VC) of the Ahmadu Bello University, Ibrahim Garba, confirmed to the Senate that Melaye graduated from the school in geography in 2000. Many Nigerians did not seem surprised by this as they had premonitions that this was going to be the final findings of the VC. The Sahara Reporter founder on his own path had this to say:“Folks: Let me quickly react to the farcical and highly tactical and well-choreographed declaration by the Vice-Chancellor of Ahmadu Bello University, Prof. Ibrahim Garba while he was appearing before the Nigerian Senate earlier today. “Prof. Garba claimed that the Senator ‘graduated’ according to ‘available records.’ We knew and tweeted since last week that the VC rushed to the Geography Department to ask for records, and when he was told that the full records of the Department could not sustain a public claim that he graduated, he cherry picked the 400 Level “3rd Semester” results. “In that results (record), Dino (formerly known as Daniel Jonah Melaye) and his former HOD David Okoro Ogbonna connived to get him graduated (discharged) after “clearing” carry overs courses he never wrote. “What the crooked Nigerian Senate want our citizens to celebrate today is that it is appropriate to cheat, lie and bully public resolve with dishonest and concocted parliamentary processes. What is in the public domain today is that “Dino” claimed he acquired 8 degrees including from Harvard and London School Economics. Those claims have been knocked off forever, as for the rest of his crooked degrees, the search for the truth continues until “moral philosophy” is attained. Sounds like someone is not convinced.The reporter had also earlier in the week made it known that he was prepared to sacrifice his life in fighting for the truth and help Nigeria curb corruption. But the drama was not over.The Kogi senator won't be the man he is if he let's the whole thing end like that. On Monday 27th of March,he chose to make the most hilarious video.In the video he was seen mocking the Sahara reporter founder,singing in Yoruba that ,a man who was not strong enough to defeat you but chooses to ambush you,will receive untold punishment over and over again. 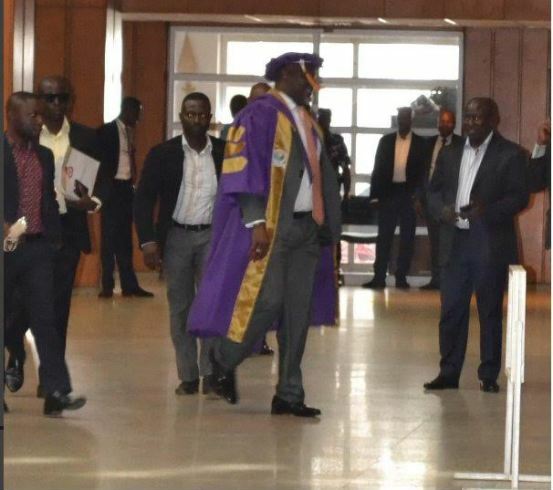 And then on Tues 28th of March,Dino again caused a scene on the floor of the Senate as he entered the chamber clad in full academic regalia. His appearance amused his colleagues who had a good laugh with him over his new actions. 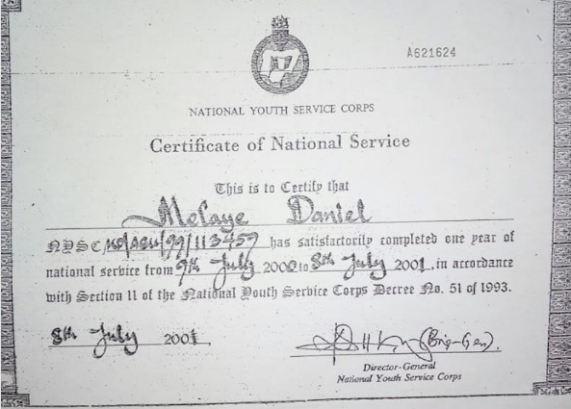 He also released his National Youth Service Corps, NYSC, certificate dated 2000 to show he participated in the program.But what i don't understand is this,if you can provide that,why can't you produce your degree certificate?After all,which is more important or valuable?